Perpendicular to the axis of the Roman Theater, and delimitating Amman's Roman Forum on the East, is the Odeon, a smaller theater mainly used for music, poetry readings, debates, or lectures. 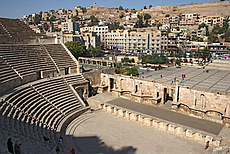 Built in the 2nd century AD, its semicircular seating space has a capacity of about 500 seats in 9 rows. It is believed to have been covered with a wooden roof. The stage building used to be richly decorated with friezes and niches. It has a vaulted interior gangway which connects to the stage via three doors. 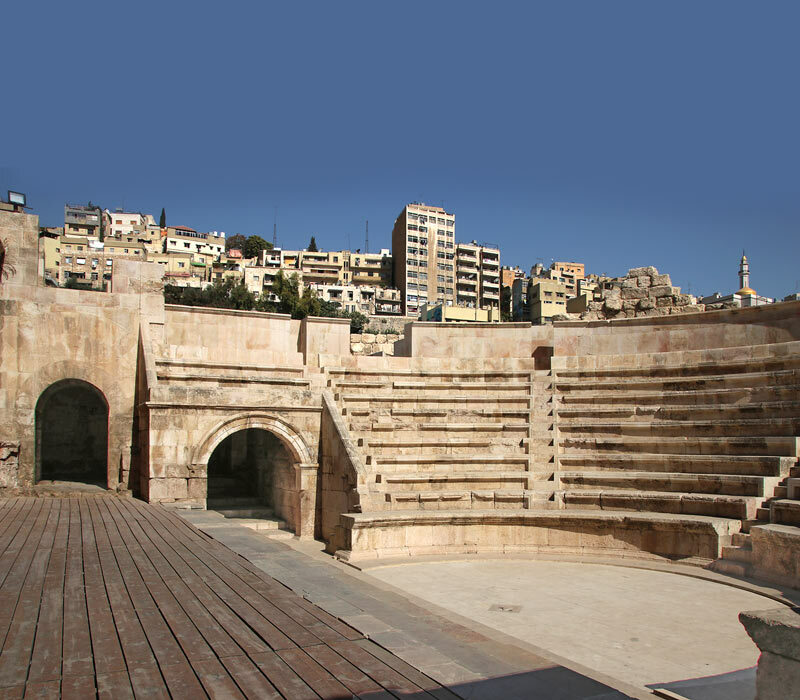 Like the Roman Theater, the Odeon is regularly used today, for example, for performances during the Al Balad Music Festival.